Recently, with the ‘healthy lifestyle’ being on the rise, people have become more and more conscious not only of what we are eating, but also what we have been applying to our bodies. For me, this consciousness started with my Natural Hair transition and has gradually developed into an all-round awareness. 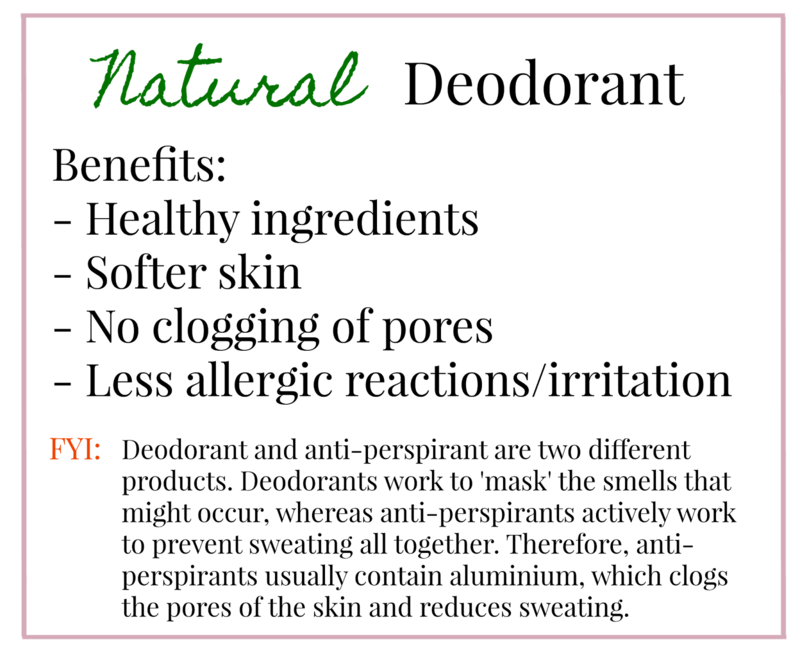 In addition to being on a constant search for natural hair products, I have also started a hunt for the perfect natural deodorant. But what exactly is a natural deodorant? What you want to avoid ideally is an anti-perspirant as they contain the harmful aluminium that clogs the pores and basically prevents the body from what it should be doing: sweating. In the past, I have tried the 100% natural crystal deodorants that you have to wet a little before rolling onto your armpits (it is a bit strange yes). However I found that after a while you really have to clean your armpits and reapply. Now I am not really looking forward to carrying wipes and deodorant everywhere I go. 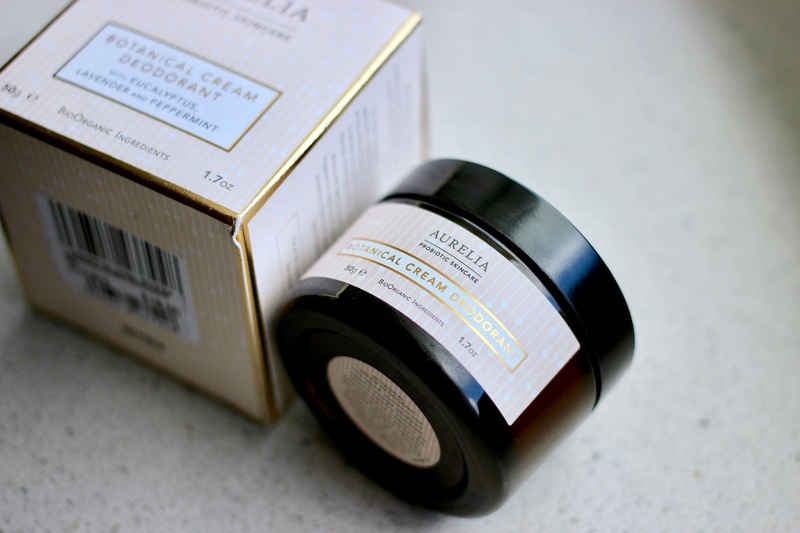 Therefore I went on another search and was recommended the Aurelia Botanical Cream Deodorant. Although it does require some getting used to, the cream is brilliant! Not only is the smell super fresh, the cream turns into a powder when applying to your underarms which means that it dries almost instantly. The hold of this deodorant is remarkable as well, even on the hottest, busiest and sweatiest days you will not smell. Yes, the scent does change slightly towards the end of the day but it is nowhere near the awful smell that most natural deodorants will leave you with. 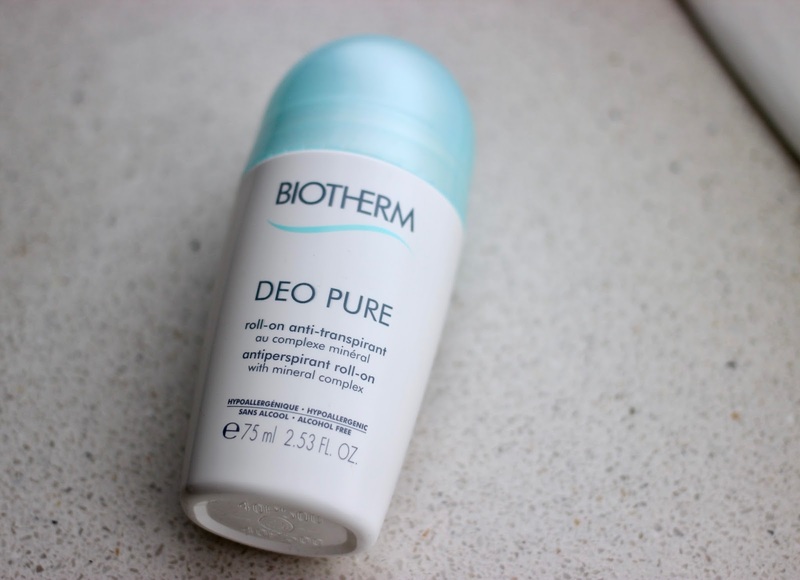 This Biotherm Deo Pure roll-on is not really a natural deodorant, but rather a less harmful anti-persipirant. I would recommend this as a transition product for when you are looking to go natural in the near future. It is also a good alternative for when you know you are going to have a really long and busy day ahead that will need a little more than just a deodorant (which does not actually prevent sweating). I am a firm believer of everything in moderation, so I will be using an anti-perspirant every now and then. The only thing that puts me off slightly with this one is that the consistency is really creamy, meaning that it does take a while for it to ‘set’ and dry. However the scent is really fresh, the product holds the entire day and I really did feel the difference between this anti-perspirant and the ones that you would buy at drugstores. The Deodorant Pure is much more gentle on the skin and leaves your armpits really soft. 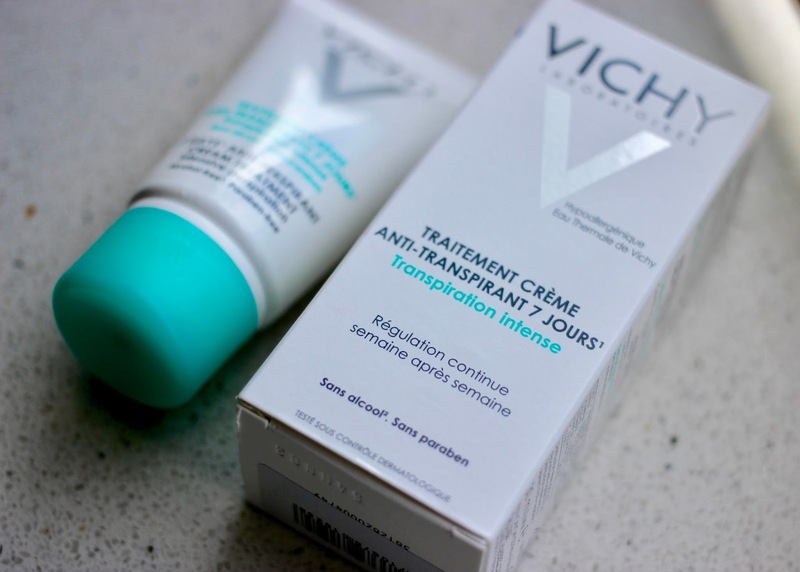 This Vichy Anti-Perspirant Treatment is a bit more intense, as it lasts up to seven days. However, I picked this one up because it might be interesting to see how this would work in combination with a natural deodorant for extra hold. As I only recently picked this up, I cannot give a proper review yet, but on the day that I did try this out it didn’t last even a full day! I will definitely have to try this out a bit more often to give a proper review, but my first impression is not exactly positive. Please remember that I am not an expert and am simply sharing my own research findings on the topic and my personal experiences after using the products mentioned above. Will you be switching to more natural deodorants?